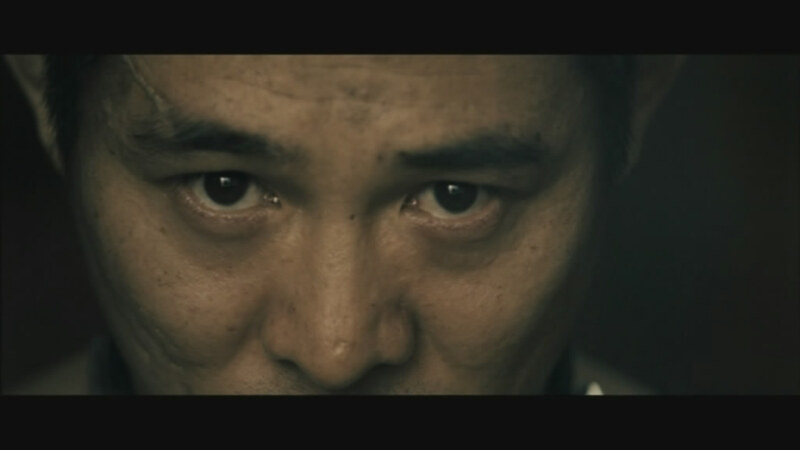 Cast : Jet Li, Morgan Freeman, Bob Hoskins, Kerry Condon, Vincent Regan. Synopsis: A man working as an slaved enforcer for a crime lord discovers a new outlook on life, when he is offered some kindness by a blind piano tuner. Review : Tantalisingly good film, which borders on being brilliant, is hamstrung by a decidedly flat overall tone. 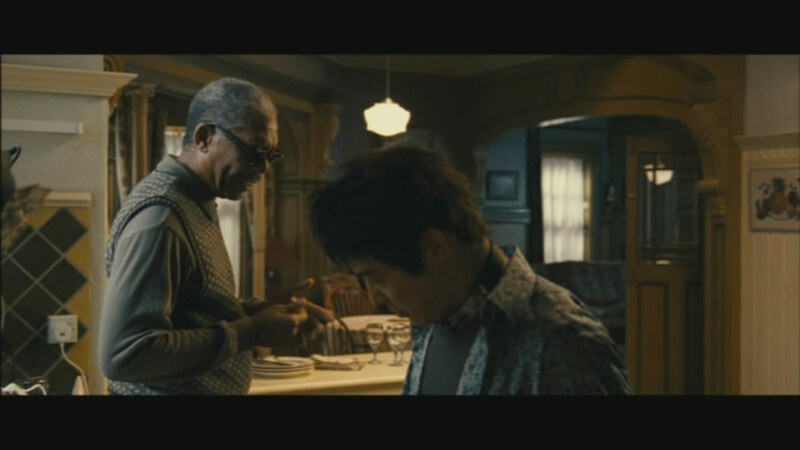 Above average Jet Li flick, is given credence by the inclusion of Morgan Freeman. Filmed under the title Danny The Dog, and renamed here in Australia (and just about everywhere else, I think), Unleashed is a Jet Li actioner with a difference: there’s a story to be told here, and it’s worthwhile hearing. Directed by Louis Leterrier, the man behind the remake of The Incredible Hulk, and the Transporter series with Jason Statham, Li returns to action in yet another chop-socky piece, although this time around, it’s a film with a lot more heart than a normal action film contains. 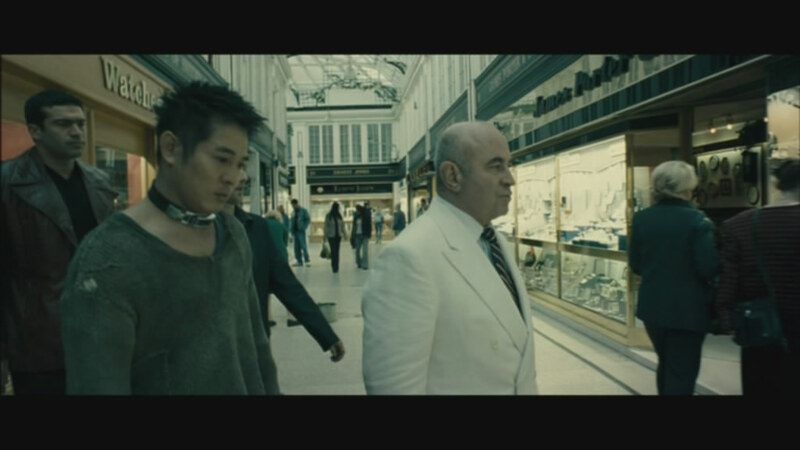 Danny (Jet Li) is a violent, vicious thug, working for a criminal kingpin (Bob Hoskins) who treats him like a “son”, in that he let’s him off his collar every so often to persuade people to pay up on their protection money. Danny has been abused, brainwashed into thinking Hoskin’s character Bart is his Uncle, a man who protects him, feeds him, and in return, merely asks that he beat the living snot out of people who don’t do what Bart wants. Danny’s a brutal killing machine, able to move through pain and anguish to diligently defeat his “enemy”. Danny wears a collar, which Bart has conditioned him to think of as a kind of emotional restraint: with the collar on, Danny cannot do harm to anybody, and is as meek as a lamb. But with the collar off, and a whispered “get him” from Bart, Danny becomes a dervish of destruction, pummeling opponents into oblivion quicker than a sneeze. Jet Li about to put the beat-down on you. The trouble is, Danny is beginning to have… emotions. Feelings of remorse, almost. His memory of a time before Bart, and his violent ways, is only revealed as flashes, glimpses into a nicer, more serene world. One day, whilst out on a trip to bring in more cash, Bart leaves Danny in a warehouse to await further commands, when Danny meets a blind piano tuner named Sam (Morgan Freeman), who treats Danny with the sort of kindness Danny’s never had (well, not that he can remember). Danny responds to this kindness, by wanting Bart to get him a piano. Bart, not understanding, merely unleashes Danny upon more criminals, and during the course of the story Danny becomes wounded, seeking out Sam for help before collapsing. Sam takes Danny to his house, where Danny meets Victoria, his stepdaughter (Kerry Condon), and they both begin to look after the poor, wayward soul, trying to rehabilitate him. Neither of them, however, know of Danny’s past, or the associations he has with Bart and the criminal underworld. Of course, this eventually changes, as Bart and his crew find Danny, and with events leading to a confrontation between the pair escalating tension, it’s not too long before Sam and Victoria are smack bang in the middle of a blowout of epic proportions. The gang goes to work. I admit, the presence of Morgan Freeman in this film adds a lot more weight than the film would have otherwise enjoyed, the actors ability to convincingly portray just about any character (especially a wise old blind dude who loves jazz and Carnegie Hall, I mean, how often have we seen that?) and bring a sense of gravitas and respectability to the proceedings. Hoskins, meanwhile, chews through his lines and scenes with the subtlety of a bazooka in a knife fight. His character, Bart, is meant to be some kind of schitzoid violence prone overlord, and he goes to town with it. Admittedly, it’s probably a little bit of overacting on Hoskins part, after all, he plays these roles so well normally, but I found it somewhat aggravating, due to the fact that it’s a full-bore portrayal at a pitch so high, it borders on parody. Swearing, cursing, wiping blood off his face with barely a pause, Bart is a truly brutal man, and he’s not above turning his rage onto Danny, if it’ll get him what he wants. And what he wants in money. Jet Li turns out to be something of a revelation here, as Danny. While not a great “actor” in the truest sense of the word, Li still taps into the very essence of the character, the very soul, and tries to bring it out to us in his performance. Unfortunately, Li is more an action hero than a dramatic actor, and while he tries hard, his inability to communicate true emotion on screen is limiting. I found the same thing with The One, an earlier action film with Li in it, where he slid through the film like an actor made of granite, such was his performance. The thing about Unleashed is, though, everybody is trying really hard to make a good film. Morgan Freeman & Jet Li converse on set. There’s a decent story in Unleashed, trying to get out. The script is well written, for the main part, especially in the moments with Freeman, Condon and Li (which I suspect is more to do with Freeman’s performance than anything else) and although suffering from the occasional bouts of the cutes, the film is fairly savage in it’s condemnation of slavery. Danny, after all, is a slave to Bart, his collar a symbol of his emotional imprisonment, and it’s a thematic element within the film that relies fairly heavily on the performance level of the main cast to carry it off. To be honest, the film doesn’t quite achieve what I think the script offered, but I don’t think it’s a failure of any one person: a combination of efforts has produced a film with plenty of heart, but a somewhat diminished amount of soul. Freeman, Li, Condon and Hoskins all give it there all, and to a certain point the film does have a lot to offer the more discerning action fan, however, I think many may be slightly disappointed with the end result. In this case, the film is not the grand sum of it’s parts; there’s something missing. An almost deadening feeling of oppression descends upon the film, and for a fairly simple action film, that’s more than enough to kill the mood. As it is, Unleashed is not a fairly simple action film, it has a heart that’s trying to beat faster and faster for the audience, but nothing’s happening. It’s like a story moving in slow motion, like the script is lost in a mire of extraneous narrative, like quicksand that threatens to envelop the film in a pall of grey averageness. Not a word, I know, but the best one to explain things with. I like Leterrier as a director. He’s not afraid to take a well-worn cliché genre and try things with it. 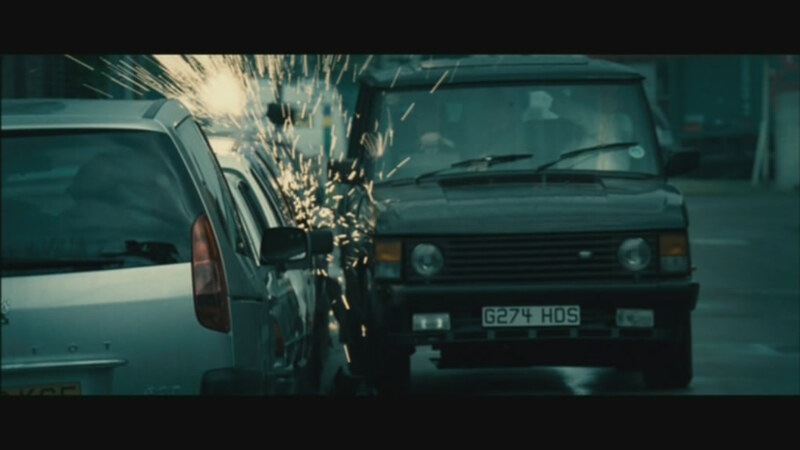 Transporter 1 & 2, which I found to be clever (is somewhat stupid) films for their style, as well as The Incredible Hulk, which was a wonderful interpretation of a comic-book film, are all films that have made their names for one reason or another, and are clever little twists on the conventions on those genre’s. With Unleashed, he’s tried to imbue a storyline into the film, as opposed to simply filling it with half-baked action sequences and fights. Li is renowned for his super-fast fighting techniques, and honestly, I don’t’ think even Leterrier has captured the fluidity and frightening speed with which the man can move with enough accuracy. But there’s plenty in Unleashed to like, if not thoroughly enjoy, and that’s to be commended. Their insurance would never believe this. Unleashed manages to rise above it’s traditional B-movie action roots by trying to stick a theme, a story, an idea, into the film, something many simply couldn’t be bothered with. It’s not a great film, by any stretch, but it is entertaining to a degree I hadn’t expected, and if thats all an action film can claim to be, then it’s a successful breed of action film. Transformers: Revenge Of The Fallen Teaser Trailer Now Online!!! Hmm, sounds interesting. I don't really remember hearing about this. I'll have to get a copy of it.